On the Campaign couch: How do I convince my boss to go for a risky idea? 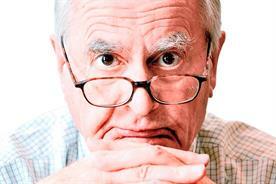 Jeremy Bullmore, Campaign's agony uncle, shares advice for a creative who wants to pitch the boss a risky campaign idea. I have an idea for a new campaign that some of my colleagues think is crazy and too risky. How do I convince my boss to go for it? If I knew the answer to your question, I wouldn’t tell you. Some of the most pernicious people in our trade pride themselves on being "fantastic presenters". They earn a legendary reputation for being able to sell anything to anybody. And I’ve never understood why such people should be thought heroic. We had a creative person once who was a fantastic presenter. In the end, a knowledgeable, experienced client asked that he never again be presented to by this fantastic presenter. But, by that time, the damage had been done: the knowledgeable, experienced client had accepted three pieces of creative work, all of which turned out to be meretricious. And I suspect that, for the rest of his working life, this honourable man nursed a deep suspicion of creative people in general and of any creative work that seemed in any way unconventional. As an agency, we’d not only behaved unprofessionally: we’d sacrificed that thing called trust that we all say we value more than anything. All this must sound resoundingly po-faced. But the next time some happy-dippy account handler says "Well, that was a good meeting! ", ask yourself: was it really a good meeting – or did you just get away with something? If you believe that this idea of yours is a good idea, you should also know why you believe it’s a good idea: how you think it might work and what principles it follows. Try explaining all that to your boss and it might just help him understand what you’re up to. If all you can say is "Trust me, I’m creative", don’t be surprised if he doesn’t. A lot of creatives also write books. Why? What a funny question. Why does anyone write a book? Fame, influence, vanity, money, self-importance, immortality, irresistible urge… I think that’s about it. But I’m not even sure that you’re right. My instinct is that fewer creatives write books these days than was the case years ago; or maybe I’m just thinking about novels. From about 1920, it was commonplace for would-be novelists to join advertising agencies where they would write long, engaging, meticulous copy. Dorothy L Sayers is probably the best-known, and Murder Must Advertise was the book she wrote about her time at SH Benson. After the Second World War, Bernard Gutteridge wrote The Agency Game (and sadly never another) and later Salman Rushdie and Fay Weldon both spent time at Ogilvy & Mather. In a category of his own is James Patterson, one-time creative director at JWT New York, who’s not so much a writer as the sole proprietor of a sprawling word factory: 150 novels to date, with 300 million sold worldwide. From about 1960 onwards, as television advertising took over from print as the favoured medium, the art of the wordsmith became less and less valued by advertising agencies. It became an unchallenged truth that modern sophisticated audiences had tiny attention spans (despite the huge success, for example, of Harry Potter) and everybody knew that nobody read body copy. So nobody took on copywriters: they just hired 50% of a creative team. With unimpeachable logic, art directors would set words in 8pt sans and reverse them out of pale yellow: after all, what’s the point of making words readable if no-one’s going to read them? Today, however, we have the voracious demands of something called "content". And to judge by the quality of most of the content that thrusts itself impolitely before our gaze, excellent wordsmiths are in sadly short supply. Most commercial language today is tired, trite, lame and limp. Maybe it’s time for the next generation of novelists to let us rent their time and their talent while they’re waiting for their first big break. On the Campaign couch: How do I deal with a Brexit voting colleague? On the Campaign couch: How can I show my brand is 'doing good'? On the Campaign couch: Why has my agency resigned our business? On the Campaign couch: Should I speak openly about my poisonous office? On the Campaign couch: Does the 'fail fast, fail often' mentality work?